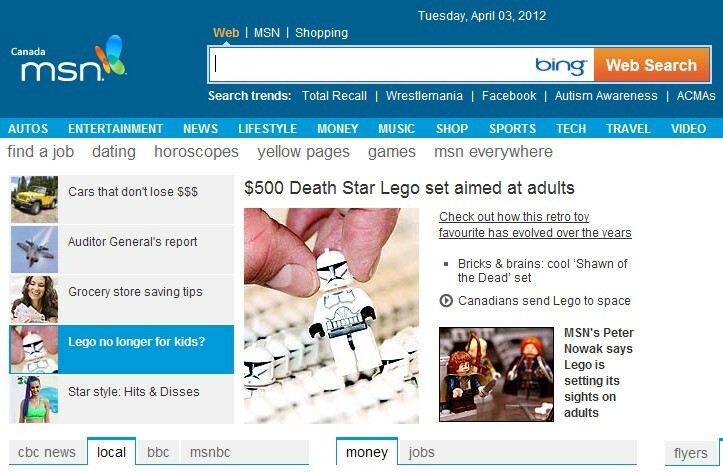 Lego makes front page news on MSN Canada. Complex Lego through the ages. Lego sets sights on adults with complex sets.